The Pound to US Dollar (GBP/USD) exchange rate outlook has notably improved since last week, as investors have digested a series of major Brexit developments that are being perceived as meaning that a no-deal Brexit is highly unlikely. After opening last week at the level of 1.3015, GBP/USD briefly dipped before spending most of the week climbing as no-deal Brexit bets were doused. On Wednesday night, GBP/USD touched on a 2019 high of 1.3346 – but closed the week closer to the level of 1.3298. Since markets opened this morning, GBP/USD has slipped and trends closer to the level of 1.3265 at the time of writing. Investors were anxious about tomorrow’s third UK Parliament meaningful vote on Brexit and sold the Pound (GBP). Meanwhile, the US Dollar (USD) struggled to capitalise due to a lack of strong supportive US data in recent sessions. The UK government plans to hold a third meaningful vote on its Brexit plan tomorrow, but will the government have gathered enough support on its plan since last week’s failed attempt? The Pound steadied lower this morning, as domestic support for the government’s Brexit deal still appeared to be too limited for the deal to pass. It dampened last week’s hopes of a ‘third time’s the charm’ success during tomorrow’s vote. At the end of last week, the government started fresh high level talks with Northern Ireland’s Democratic Unionist Party (DUP). The DUP is an ally to the Conservative Party’s minority government, and its vote is key in helping to support the government’s side in Parliamentary votes. As the DUP has been against the government’s Brexit plan due to concerns over the Irish backstop, hopes that the DUP could be brought aside to support the plan and bolster the chances of the third meaningful vote succeeding briefly led to a strong Pound over the weekend. 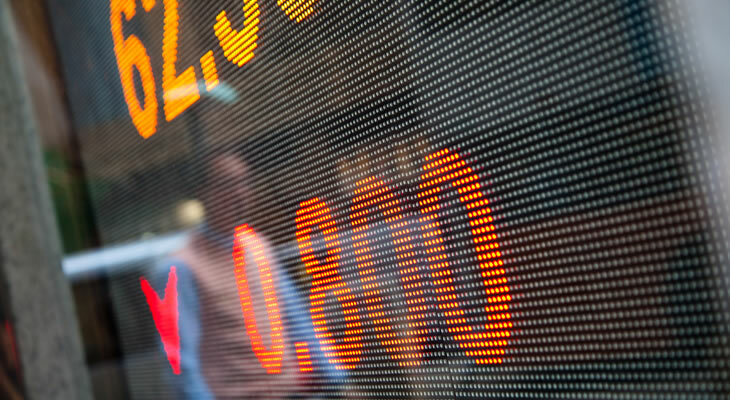 A lack of solid indications that anything had changed left the Pound weaker when markets opened on Monday. After months of strong performance on expectations of a strong and resilient US economic outlook, the US Dollar (USD) has seen weaker trade over the past couple of weeks due to signs of weakness in US data. Friday’s US data was the latest to disappoint investors, showing that US manufacturing production unexpectedly contracted at -0.4% month-on-month in February. Industrial production disappointed month-on-month as well, and a New York manufacturing index unexpectedly slumped from 8.8 to just 3.70. With more US ecostats falling short of expectations, investors are increasingly speculating that the US economic outlook has been hit by slowing global growth. This has not only doused speculation that the Federal Reserve could still hike US interest rates one more time in 2019, but has also caused some speculation that the Fed may even cut US interest rates at some point this year. Last week’s Pound to US Dollar (GBP/USD) exchange rate movement was highly volatile as the Pound surged on hopes of avoiding a no-deal Brexit, but the coming week could be just as pivotal for the pair’s outlook. The UK government is still planning to hold its third meaningful vote on Brexit, with hopes that it can pass last minute before the government fully enters negotiations to delay the process. If domestic support for the Brexit deal has improved enough for the deal to pass, Sterling would surge as a soft Brexit would be all but confirmed. However, if the deal fails again as expected, the government will enter Brexit delay talks which could also be highly influential. While the Pound is driven by Brexit developments, US Dollar investors will be anticipating tomorrow’s US factory orders stats and Wednesday evening’s Federal Reserve policy decision. The tone the Fed takes on its monetary policy outlook during its March policy decision could be the primary cause of US Dollar movement this week, so is likely to influence the Pound to US Dollar (GBP/USD) exchange rate.